Nowadays, thanks to geographic information systems, users have a powerful consulting tool at their disposal to consult, analyze and update all of their spatial information. Thanks to the processing and interpretation of images coming from distinct sensors we are able to create new plant variability maps in addition to carrying out multi-temporal studies with which will allow us to follow-up on the vegetative state of the vine. We will obtain photosynthetic activity indexes of the plants that we will generate using health maps, that will allow us to detect changes and anomalies in the state and development of the vine. We will be able to digitalize simple thematic maps associated with vine management both simply and rapidly. An example of these maps includes moisture deficiency maps, qualitative potential and leaf health. During this course, the student will have access to full GIS software. Likewise, students will have an ample collection of digital cartography at their disposal that will be subsequently used in their work environment in an efficient and practical manner. Thanks to the recent integration of SEXTANTE in ArcGis, students will also acquire very useful knowledge to manage this proprietary software. 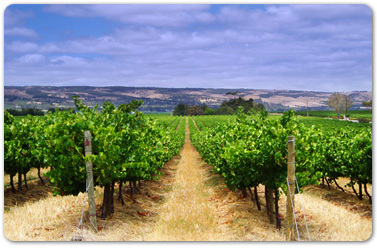 The online course “Remote sensing and Geographic Information Systems applied to viticulture” will be given from October 21 – December 20 2013. At the end of the course, the student will receive a diploma for their training from the Foundation of the University of La Rioja. The course will be given in collaboration with the company ENCORE-LAB.